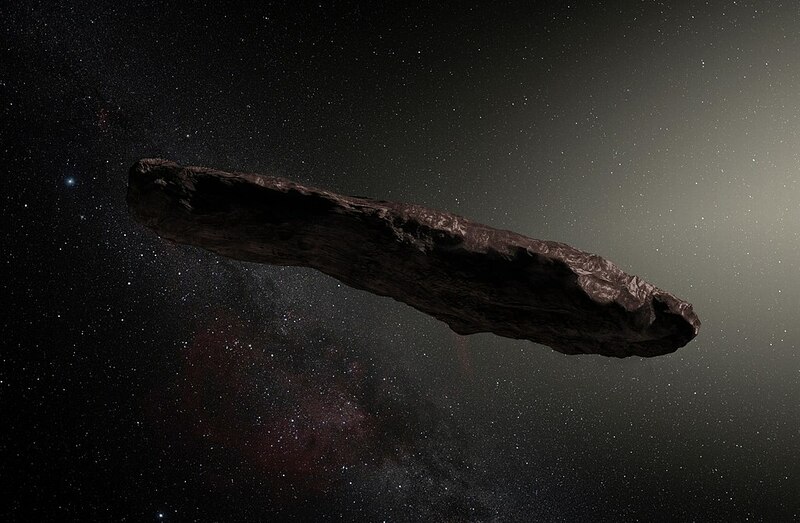 The object named Oumuamua, meaning scout or messenger in Hawaiian is traveling at 196,000 miles per hour and passing rapidly out of our solar system. Many believe any spacecraft able to achieve interstellar travel would be cigar or needle shaped so as to reduce drag. Asteroids are not typically shaped like this, hence the interest in the object. It does not however show any signs of propulsion, reducing the chances of this being an alien powered space craft. However Asteroids normally exibit a cloud of dust as they travel through space which does not seem to be the case here.